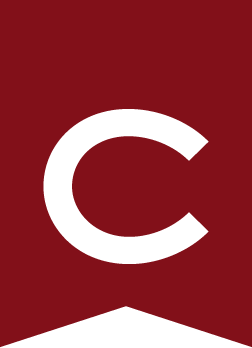 Colgate’s curriculum includes a wide range of study opportunities in the arts, natural sciences, and social sciences. It is structured to provide a well-rounded liberal arts education and to prepare students for graduate and professional schools. A student’s academic program consists of courses in the Liberal Arts Core Curriculum, courses in the field of major, electives, and physical education classes. There are 55 majors offered, several of which are interdisciplinary in nature and offer honors programs. Qualified students are encouraged to participate in one of Colgate’s more than 20 off-campus study groups. Other academic options include independent study courses, guided research, and approved off-campus (non-Colgate) study programs. These four Common Core courses are not sequential. Students may take the four required core courses in any order, but are expected to complete the four common core courses by the end of their sophomore year. Exceptions may be made for students completing certain programs (for example, pre-medical study) and for students with special individual circumstances. Students who have not completed the four common core courses by the end of the second year are required to obtain permission of the course instructor to enroll as juniors or seniors in core courses. Courses in this component develop an understanding of what it means to be human: they focus on cultural and intellectual expressions throughout time. Most courses from the following departments/programs satisfy this area requirement: Art and Art History, the Classics, East Asian Languages and Literatures, English, German, Jewish Studies, Music, Philosophy, Religion, Romance Languages, Theater, and Writing and Rhetoric. Approved courses from other departments and programs (see the description of university studies below) may also satisfy the Human Thought and Expression Area of Inquiry requirement. Courses in this component expose students to the study of social order and human behavior in societies of the past and present. Most courses from the following departments satisfy this requirement: Economics, Educational Studies, Geography, History, Political Science, and Sociology and Anthropology. Approved courses from other departments and programs may also satisfy the Social Relations, Institutions, and Agents Areas of Inquiry requirement. Courses in this component apply theoretical and empirical methods to the study of living organisms, the physical world, and abstract and practical mathematics. Most courses from the following departments satisfy this requirement: Biology, Chemistry, Computer Science, Geology, Mathematics, Physics and Astronomy, and Psychology, and several physical geography. Approved courses from other departments and programs may also satisfy the Natural Sciences and Mathematics Areas of Inquiry requirement. The Global Engagements (GE) requirement, furthers students’ understanding of the complex and diverse world in which they live. Global Engagements courses provide students with an opportunity to analyze and debate the conditions and consequences of intercultural interaction, both in the United States and in the broader world, so that they will be prepared to confront responsibly the challenges of the 21st century. Courses in this component are drawn from departments and programs across the University; all inquire into the ways that people respond to and seek meaning in multicultural national and international contexts. These courses are identified in the registration materials available each semester. A course taken to fulfill GE credit may also fulfill an Areas of Inquiry and/or major/minor requirements. Students investigate a body of knowledge in depth in a major. An official major must be selected and filed in the Office of the Registrar in the second term of the sophomore year. Students who fail to declare a major by the announced deadline will not be permitted to register for the upcoming term. A student may subsequently change majors with the approval of the new department chair or program director and the filing of a new declaration of major form with the registrar. Most major programs are centered on a single discipline and supervised by one academic department; however, a number of interdisciplinary majors permit students to major in a subject that involves several related departments. Some even cross divisional boundaries. A minimum grade of C- in introductory courses is normally needed for admission to a major. For graduation, the minimum grade point average (GPA) required for courses counted toward the major is 2.00 (C). Topical majors allow students, with the advice of a faculty adviser, to design an independent, interdisciplinary course of study outside the existing department and program structure. Topical majors are used for student major programs that encompass courses from more than one department or program. The three topical major programs are in Arts and Humanities, Natural Science, and Social Sciences. Although administered at the divisional level, some topical majors may cross divisional lines. Topical major programs are approved by the respective division directors. In all cases, Colgate’s general requirements for graduation will apply. Topical majors are described under their respective divisions within the alphabetical order of Majors and Minors . Faculty advising can be essential to a student’s success and sense of satisfaction with the academic program. Colgate recognizes that academic advising needs can be diverse, and individual expectations and requirements often change with time. Effective advising develops in a timely fashion when students take the responsibility of reading this catalogue and the Colgate Student Handbook, and seek assistance early and often. Application to off-campus study programs is made through the Office of Off-Campus Study/International Programs. Applicants must meet the GPA requirements and prerequisites of their desired program, and be in good academic, financial, and disciplinary standing. Students must demonstrate personal and academic maturity equal to the demands of the off-campus program, which often exceeds the demands of the campus. This maturity should be attested to by the student’s academic record, administrative dean, and academic adviser. Admission to an off-campus study program is competitive and not guaranteed. The application deadline is normally in November for Colgate Study Groups (Faculty led) and may be found online at colgate.edu/OCS. The annual deadline for Approved, non-Colgate programs is in early February for all of the following year, fall and spring semesters. Programs are listed for review by academic department on the Off-Campus Study/International Programs website at Colgate.edu/OCS. Please refer to the Off-Campus Study section in Academic Regulations, for additional policies concerning the transfer of credit and grades from off-campus study programs. For information regarding withdrawal from off-campus study, see Withdrawal and Refund Policy section in Expenses. As a way of ensuring an immersive study abroad experience, students participating on approved programs that are hosted in a non-English speaking country or in a country in which English is one of many official languages, are required to take at least one language class in that program’s native language or one course taught in a local language other than English during the program. This policy will go into effect with applications for the 2019-2020 academic year. Please consult the Off-Campus Study website for a list of language requirements for each country. Ordinarily, exceptions will not be granted. Prerequisites may exist for extended study courses. Any seniors electing to participate in a spring extended study will graduate at the next degree conferral date, but will be eligible to apply for participation in the May commencement ceremony. Please refer to the student handbook for details on commencement participation. The Office of Undergraduate Studies (OUS) is led by a committed team, composed of a faculty director, an associate director, an administrative dean, and an OUS Fellow. This supportive four-year program aims to tap the potential of each OUS scholar, particularly in terms of academic excellence and leadership in the tradition of the liberal arts. The mission of the OUS program is reflected in Colgate University’s own mission, which includes providing a “demanding, expansive educational experience to a select group of diverse, talented, intellectually sophisticated students who are capable of challenging themselves, their peers, and their teachers.” As OUS students are a highly select, talented, and diverse group of students at Colgate, they especially fulfill and enrich Colgate’s mission and purpose. For information about the program, please contact the Office of Undergraduate Studies at 315-228-7375. For information about admission to Colgate through OUS, please contact the Office of Admission. Programs are available to prospective secondary school teachers in the fields of English, mathematics, social studies (economics, geography, history, political science, sociology) and natural science (biology, chemistry, earth science, or physics). Students in these programs major in academic areas for which adolescence teaching certification is sought and take appropriate coursework in the Department of Educational Studies. The department also offers a childhood certification program in elementary school teaching for grades 1-6. Students who wish to gain New York State teacher certification have the option of completing their professional semester in the fall term following graduation as part of the ninth semester program. To be eligible for this special program, students must have received their Colgate degree in the academic year prior to the professional semester and completed all other certification requirements prior to enrolling in the ninth semester. In the ninth semester, students are allowed to enroll only in the professional semester courses, which consist of two or three seminars (depending upon adolescence or childhood certification) and student teaching. Students interested in the ninth semester program should meet with an educational studies faculty member to determine if they are eligible and apply to the program in the spring of their junior year. Colgate’s undergraduate adolescence and childhood certification programs and the MAT adolescence programs are accredited by the Teacher Education Accreditation Council (TEAC) for a period of seven years from May 7, 2014 until May 7, 2021. Successful completion of all requirements in all teacher preparation programs leads to recommendation for New York State initial teacher certification. For more information see educational studies department page. The Community Student Program provides opportunities for high-achieving high school students in their junior and senior years to enroll in Colgate courses. For additional information, including eligibility criteria, please contact the Director of Academic Support and Disability Services, Center for Learning, Teaching, and Research, 315-228-7375. The High School Seminar Program provides opportunities for high school students from surrounding school districts to participate in late-afternoon non- credit bearing mini-seminars taught by Colgate faculty and administrators. For additional information, please contact the High School Seminar Coordinator at 315-228-7863.